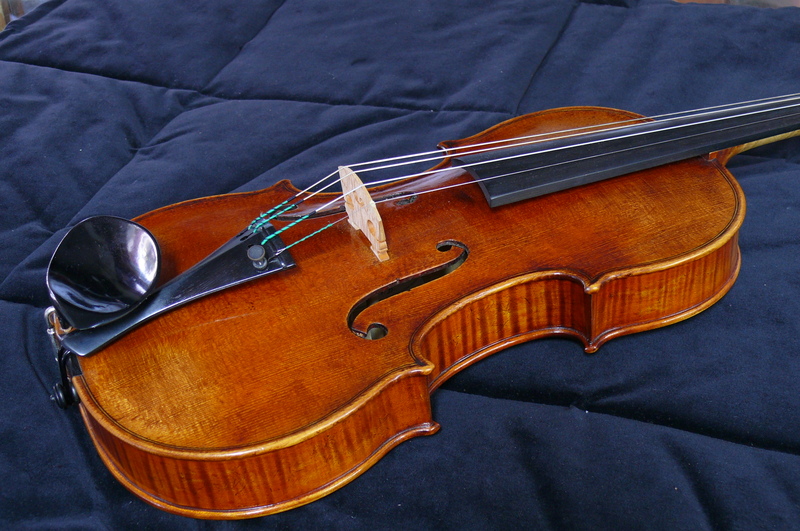 Violin by John Simmers, Brisbane 1998. Simmers Violins are pleased offer a violin made by John Simmers in 1998. It is in great condition and has recently been in the workshop to bring it to the highest level. It is a fine sounding instrument. Violin by Il Gruppo Internazionale Liutai, Oberlin Ohio Anno 2006. 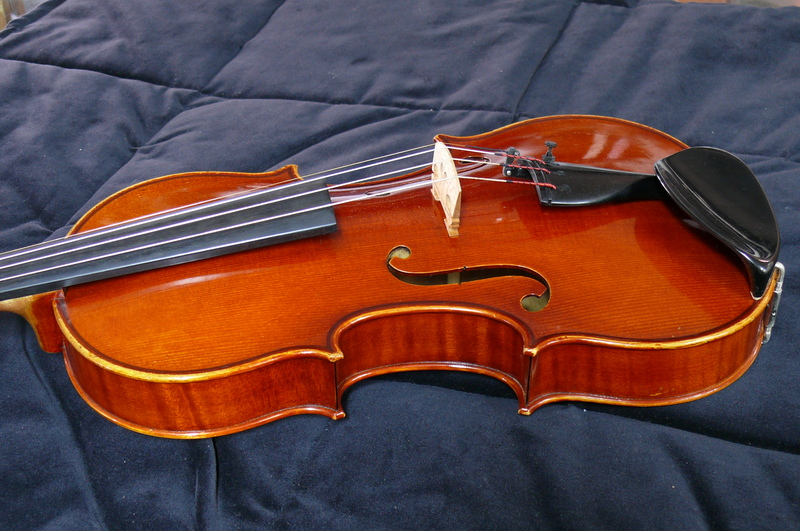 Violin by Il Gruppo Internazionale Liutai, Oberlin Ohio Anno 2006 – alumnus G. B. Guadagnini. 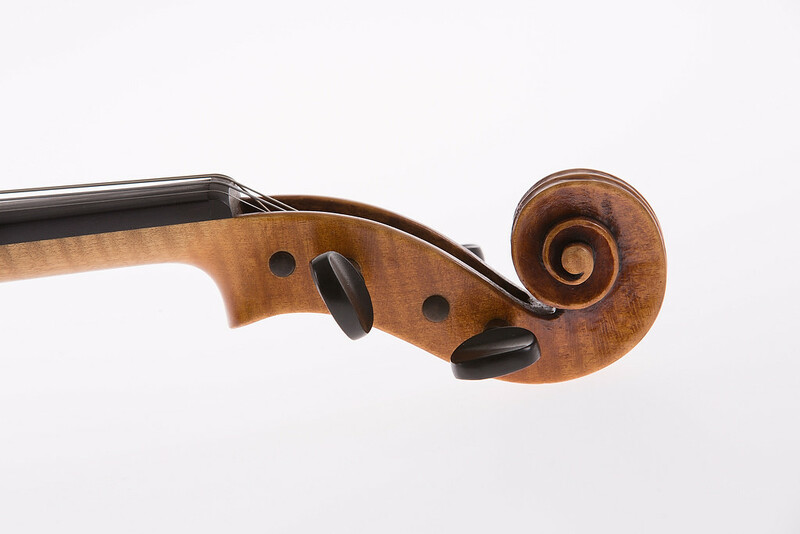 This very fine sounding violin was made by an international group of violin makers at the Violin Society of America’s Oberlin Violin Making Workshop in 2006. It was varnished at the 2007 Oberlin workshop, which was attended by John Simmers. During the annual Oberlin workshop, participating makers often produce a group instrument to study a particular historical maker or specific instrument. In 2006 the group studied a violin by G. B. Guadagnini. Simmers Violins are pleased to offer this violin for sale, as the proceeds of the sale will help fund future Oberlin Violin Makers Workshops. Jason Viseltear makes violins, violas, and cellos for both contemporary and period performance. His atelier in Manhattan since 1995, his first studies were with Robert Young that led to the partnership and workshop of Viseltear & Young until 2006; additional studies were with Brice Dupin de Saint Cyr, Michael Sheibley, and François Denis. Since 2001 he has worked alongside leading makers and researchers at the Oberlin Workshops, focusing on the methods of classical masters as well as current innovations. Employing the techniques of Renaissance design, his own work has been influenced by close studies of masterworks from da Salò to Scarampella, Joseph Filius to Testore, del Gesù to Peter of Venice. Dedicated solely to making new instruments and to providing the ongoing support fine players expect, his award-winning work is in the hands of many performing musicians and professionals, as well included in esteemed conservatory and private collections including Harvard, Colburn, and Yale. He is a member of the American Federation of Violin and Bow Makers. A very fine violin by the respected French violin maker, Jean Bauer. The violin is in excellent condition. Sold with the maker’s original invoice. 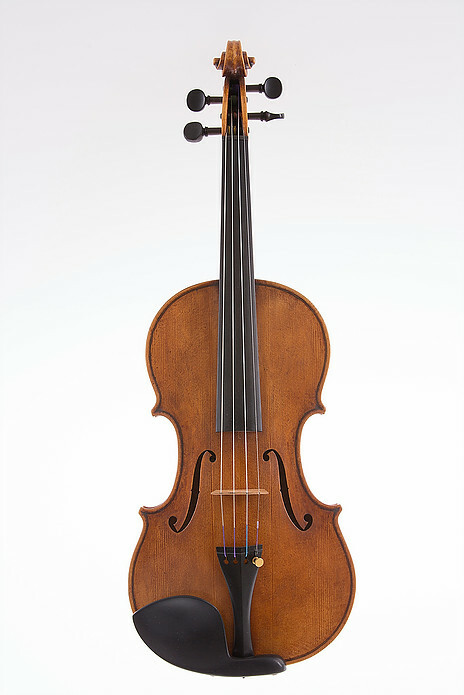 A nice violin from well known Australian violin maker, John Johnston. This violin is in as new condition and has a recent setup. It is modelled after a violin by Giuseppe Guarneri del Gesu and has a lovely warm sound.